Based on the true story of Louis Zamperini who started out as a olympic runner but then ended up in the army during the world war . unluckily his plane crashed and he ends up stranded on the ocean with 2 other crew members only then to be rescued by the japanese who then put him in a prisoner of war camp where one officer seems to go out of his way to break him. Ive read some reviews on this which were a little luke warm. all i will say is you would have to be born souless to not appreciate that this is a good movie. case it is ! If I Can Take It, I Can Make It. True words of wisdom right they. 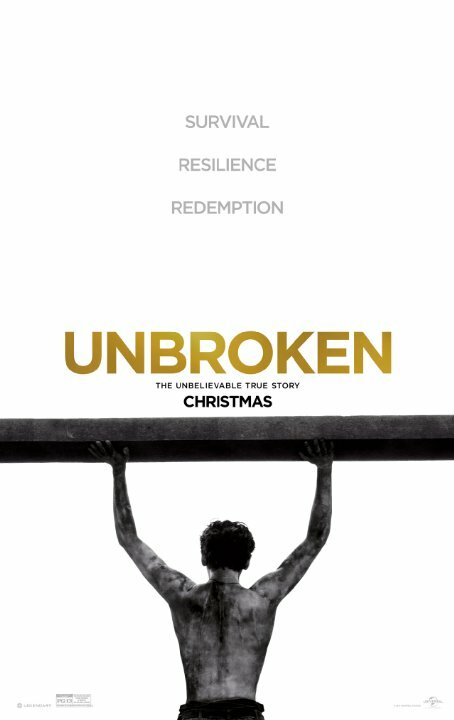 Unbroken is a true story about a Olympian and war hero Louis "Louie" Zamperini played by (Jack O'Connell) who, along with two other crewmen, survived in a raft for 47 days after a near-fatal plane crash in WWII-only to be caught by the Japanese Navy and sent to a prisoner-of-war camp. Next time I tell you about how bad a day I've had or how terrible my life is - just remind me of Unbroken and life Louis Zamperini had to live during WWII - shot down, surviving 45 days out at sea, surviving not one but two Japanese POW camps - anything life has thrown at me through this point pales in comparison. No posts have been made on this movie yet. Be the first to start talking about Unbroken!